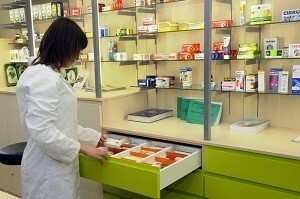 Pharmacists are experts in medications who work together with doctors, nurses and dentists as part of healthcare system. During our programme students will understand the science behind drug discovery, development and delivery along with how patients react to the medicines they take. The 11-semester (5,5-year) pharmacy programme including 6-months pre-registration training in an approved pharmacy leads to the degree of Master of Pharmacy and allows for registration as a pharmacist in Poland. Polish registration is recognized in other EU member states. Candidates from around the world have an opportunity to apply for the 5,5-year Master of Pharmacy programme at English Division at the Medical University of Gdańsk. Programm starts with obligatory Orientation Week on 23rd of September 2019.
and if necessary (Admission Committee’s decision), interview based on English language proficiency, motivation and predisposition for pharmaceutical profession and the knowledge of selected subjects (topics for review). Candidates with IB Diploma are selected on the basis of their scores from IB Diploma in chemistry HL (obligatory) and one selected subject from: biology, physics and mathematics HL, as well as score from an interview (see above). If candidate passed the subjects at the SL, mentioned above written part of entrance exam is required.